Due to the high consequences of failure, the Oil & Gas industry demands high levels of equipment integrity. 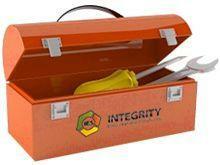 With experience in onshore, offshore and subsea Oil & Gas equipment, Integrity Engineering Solutions are here to help. We can offer a range of tools, including Advanced Analysis and Fitness-For-Service, to assist in safe plant design and operation. For subsea, our Advanced Analysis techniques and R&D services allow our clients to continue to push the design envelope. For operational pressure vessels, piping and pipelines, FFS techniques for corrosion, cracking, mechanical damage and bolted joint leakage have been significantly employed and they will likely continue to be used, as existing fields grow older and more marginal fields are developed. Integrity Engineering Solutions also offers other complementary services which are relevant to the full life cycle of Oil & Gas plants, including; Failure Analysis, Fabrication Support, Maintenance Support, and Technical Management. Also, don’t forget to look for relevant industry projects on our JIP page.